Where there is sunlight, there is endless power! Disappointed with your phone running out of juice when you have an emergency? Enjoy surfing on line or great outdoor activities? Tired of your camera being out of power when you go sightseeing? Do not worry! Our solar charger is your best partner. Let ECEEN solar panel charger power up your life whenever and wherever. 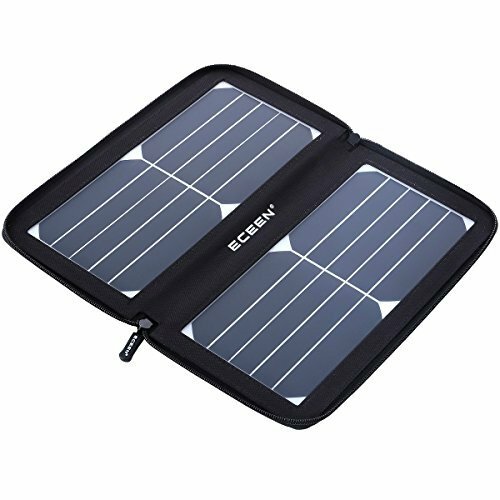 Why ECEEN 10W Solar Panel Charger is the Best Choice for you? -There are so many solar panels on the market, some with 14watts, 20watts etc, but most phones charge input rate is limited to 1A. Our ECEEN, at 10Watts, will output 1.5A. Thats more than enough. So even if the weather isn't perfect or the perfect angle to the sun, you will still get enough to charge your device. -It¡¯s smaller and lighter weight, so why not save your money? 1. 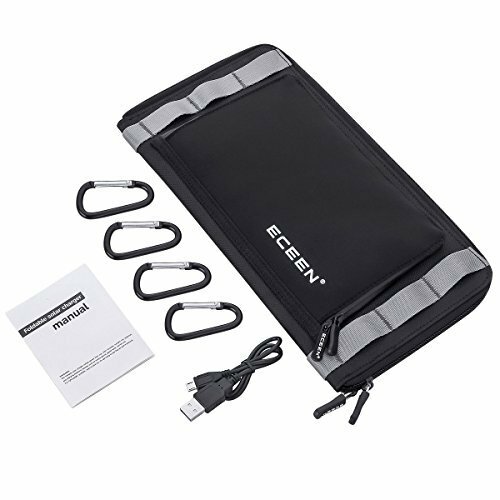 Unzip the zipper, fold open the ECEEN 10W SOLAR CHARGER and place the panels in direct sunlight. 2. Connect foldable solar charger with your mobile phone, your power bank, etc. Almost any 5V device which you want to charge through the cable. The solar charger will start charging devices automatically. Keep your device out of the sunshine to protect it. 1. Making sure the solar panel faces the sun directly will be the best help for your charging! 2. Please use the original cables in the package or your original phone cable for charging, the cable quality is a big impact on the charging time. 3. It will not charge your device if the sun is not strong enough or there is heavy cloud coverage that day. If your device shows "charger not compatible..." please unplug and replug the cable so that the message goes away. 4. Do not put the charger on an area with high temperatures or overly wet. HIGH EFFICIENCY: Constructed of SUNPOWER® solar cells, 2 monocrystalline solar panels, which can absorb solar energy, high efficiency up to 22% efficiency, high conversion solar charging technology keeps your devices powered up with free solar power. STABLE OUTPUT: Unique voltage regulator design to ensure stable voltage and current, protects your device while charging. Premium USB output design supports charging 5V devices simultaneously in 1.5A total (MAX) FOLDABLE, PORTABLE & LIGHT WEIGHT: with 2 foldable Solar Panels, folding size only 11.5*6*0.5 inches, net weight only 0.8 pounds. 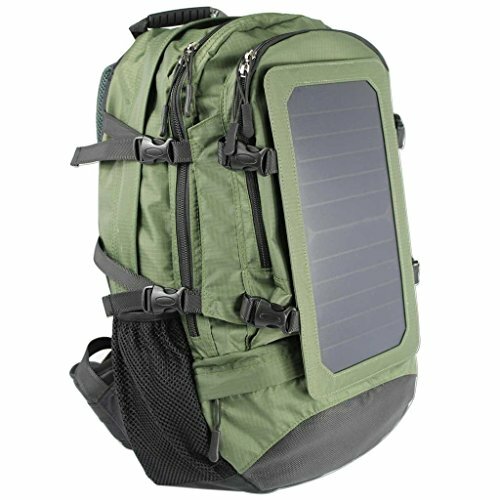 It is portable and convenient to carry for hiking, camping, traveling and any other outdoor trips and activities, as well as gift. ZIP PACK DESIGN: Easy to close with a zipper and open like a book. Well-placed 14 ribbon hooks enable easy attachment to backpacks (4pcs free carabiners included) while you going. 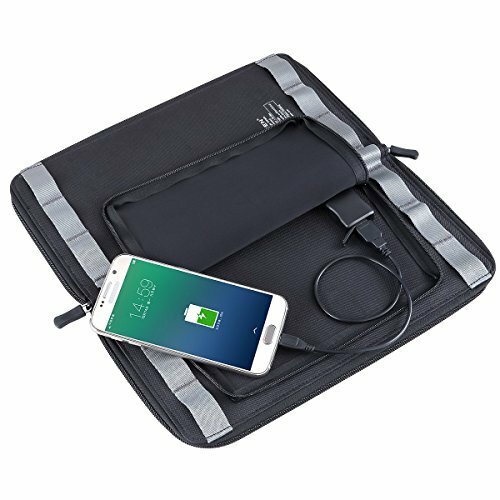 Well-placed a stretchy fabric pocket( 5*8inch), placing your cell phone, cable ,key or many other small parts. 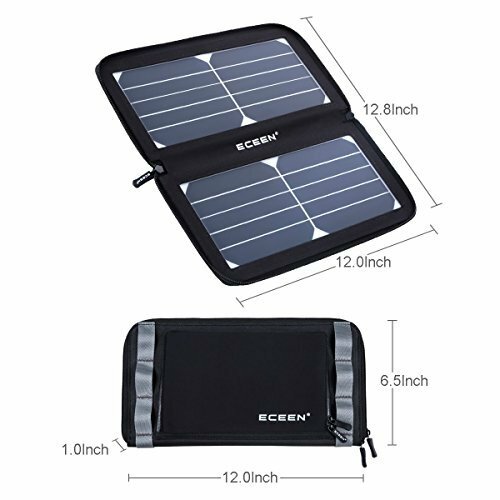 PACKAGE CONTENTS: 1PC* ECEEN 10W solar panel charger, 4PCS* Carabiners,1PCS* 40cm Micro USB cable,1pcs* instruction manual.